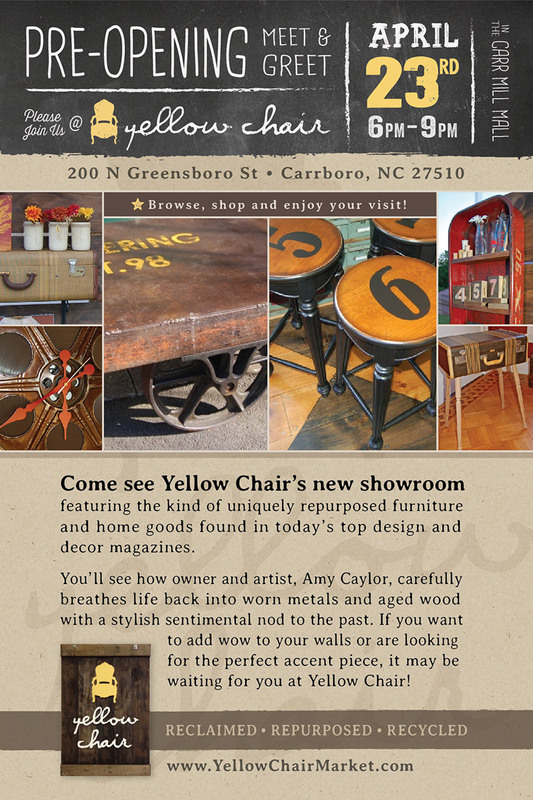 This print piece was created to generate interest and spread the word about Yellow Chair Market’s open house event at their new retail location in Carrboro, NC. The design reflects YCM’s focus on reviving metal and wooden items into unique decor and repurposed furniture. Worn-looking graphic elements and hand-written text treatments help maintain the consistency we established in the website design and branding. We also created Yellow Chair’s website.